Jiffy® TuffGard® cushioned mailers combine the cushioning protection of Bubble Wrap® with a tough, multi-layer polyethylene film for maximum product protection. 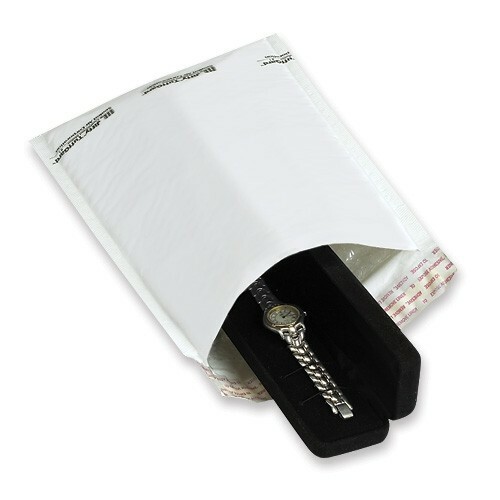 Jiffy® TuffGard® bubble mailers have a white outer surface, and a convenient self-sealing closure. - Usable dimensions are 10 1/2" x 14 3/4". - Each mailer weighs only 1.1 ounces. - Sold in case quantities.